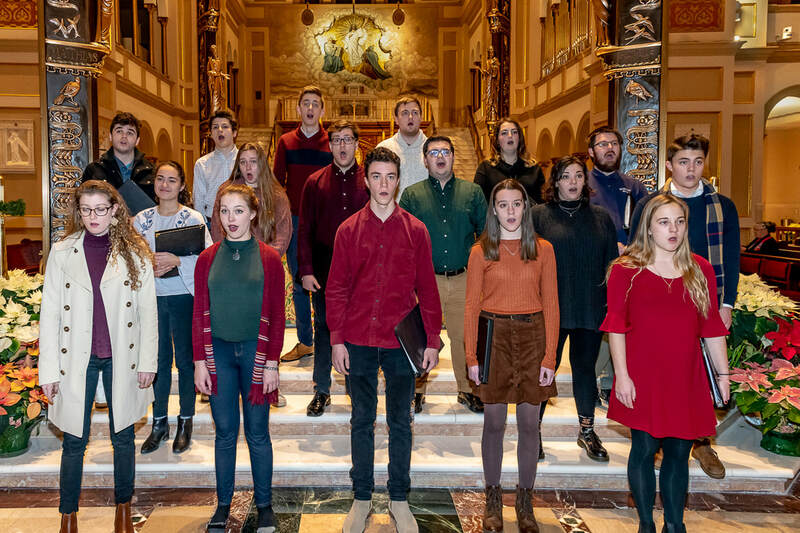 Photos from our recording session on January 7, 2019. Credit to Frank Napoli for all photos. 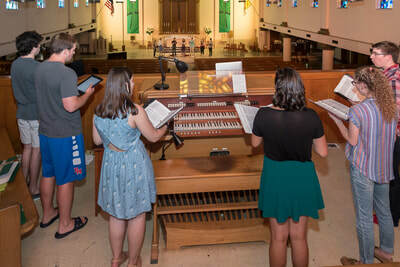 ​Many thanks to the Franciscan Monastery of the Holy Land in Washington, D.C. for the recording space. 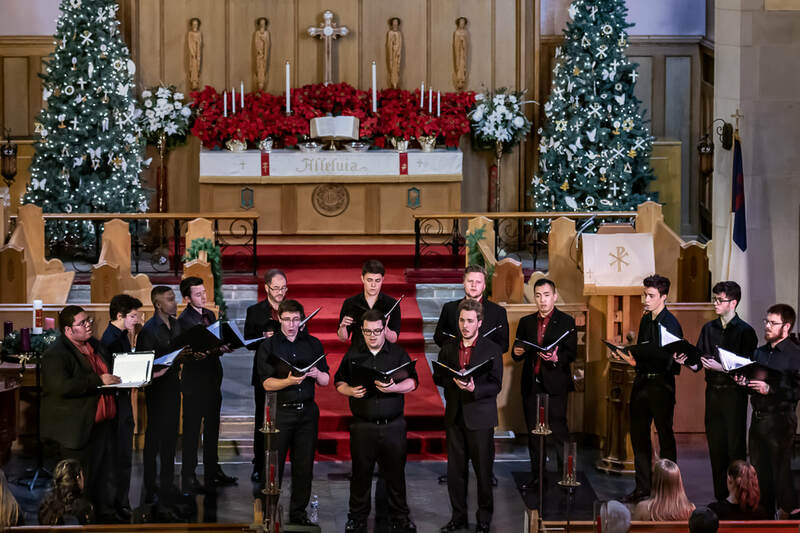 Photos from our joint concert with Quorus in Baltimore, MD. Credit to Frank Napoli for all photos. 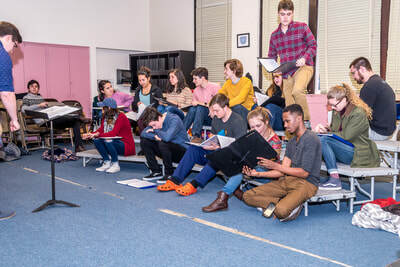 Photos from our Winter 2018-19 season's program, Sweet Was the Song, in Hyattsville, MD. Credit to Frank Napoli for all photos. 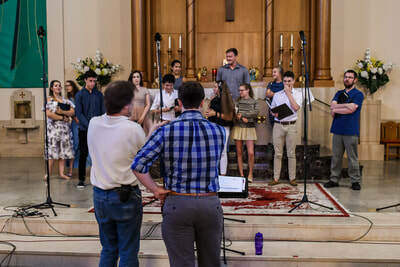 Photos from our Summer 2018 recording session with sound engineer John Vengrouskie. Credit to Frank Napoli for all photos. Thanks to St. Jerome's Parish for the beautiful recording space. 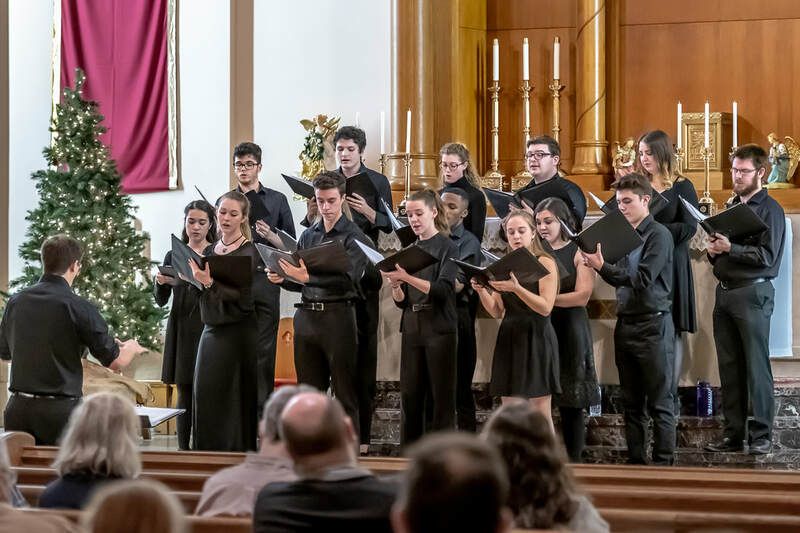 Photos from the last concert of our Summer 2018 season's program, A Journey of Life, at Christ Lutheran Church. Credit to Frank Napoli for all photos. Photos from rehearsals during our Summer 2018 Season. Credit to Frank Napoli for all photos. Thanks to St. Jerome's Parish for rehearsal spaces. 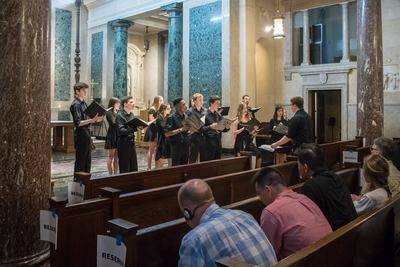 Photos from the first concert of our Summer 2018 season's program, A Journey of Life, at St. Jerome's Church. Credit to Frank Napoli for all photos. Photos from our Winter 2017-18 recording session with sound engineer John Vengrouskie. Credit to Frank Napoli for all photos. Thanks to Georgetown Preparatory School for the recording space. Photos from rehearsals during our Winter 2017-18 Season. Credit to Frank Napoli for all photos. Thanks to St. Jerome's Parish in Hyattsville, MD for rehearsal spaces. 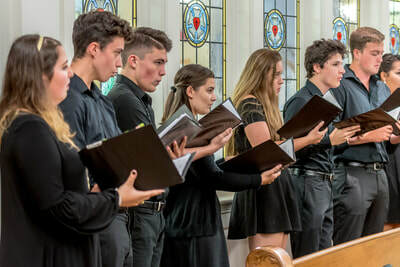 Photos from our Summer 2017 concert at the Chapel of Our Lady of Lourdes in Rockville, MD. All photos credited to Frank Napoli. Photos from our dress rehearsal preceding our Summer 2017 concert. All photos credited to Frank Napoli. Photos from our Summer 2017 recording session with sound engineer John Vengrouskie. All photos credited to Frank Napoli. Rehearsals for our 2017 Summer season. All photos credited to Frank Napoli. Thanks to St. Jerome's Parish for providing rehearsal spaces. Rehearsals for our 2016-17 Winter season. All photos credited to Frank Napoli. Thanks to St. Jerome's Parish for providing rehearsal spaces. 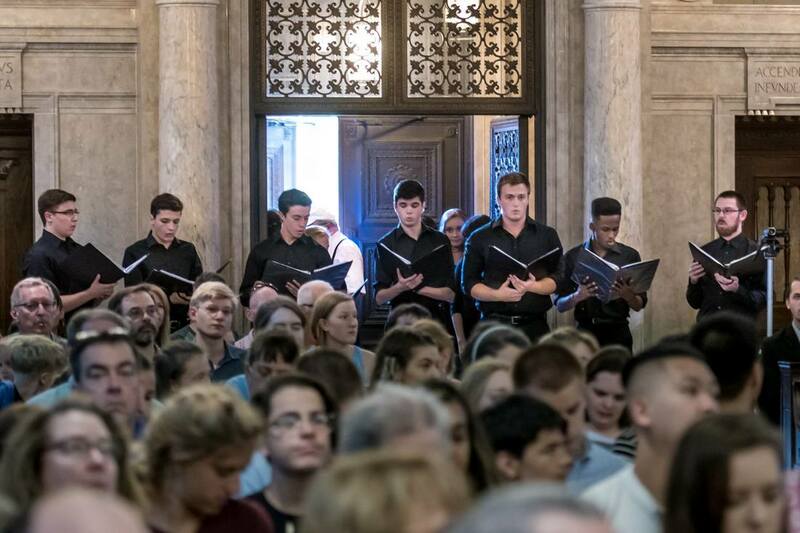 Photos from our Summer 2016 concert at the Chapel of Our Lady of Lourdes in Rockville, MD. All photos credited to Frank Napoli.